Can't go to the festival? Let pieces on PRX about South by Southwest and its performers take you there. For one week each year, Austin, Texas becomes the center of the music universe. In this music-rich one-hour special, some of public radio's savviest experts pick the artists poised to break out at SXSW 2009. Host David Brown talks with Jim Derogatis and Greg Kot of Sound Opinions, Bob Boilen of NPR’s All Songs Considered, Cheryl Waters of KEXP, and Bruce Warren of WXPN as they sort through their short lists for SXSW. Plus, Colin Meloy, frontman of the Decemberists, joins us for an exclusive interview about the SXSW debut of their daring new concept album, ‘The Hazards of Love’. It's an hour of musical discovery and thoughtful commentary...and a fun preview of one of the most important music events on the calendar. Enjoy! "In a Dream," Jeremiah Zagar's doc on his father, mosaic artist Isaiah Zagar, which won the audience award in the 2008 SXSW festival's Emerging Visions category. In the vibrant, bohemian neighborhood of South Philadelphia, 50,000-square feet of concrete are covered with tile and mirrors—mosaics that were created by Isaiah Zagar, an eccentric, tormented artist – and Jeremiah’s father. Profile of 2008 SXSW artist The Black Angels. Austin's own Black Angels are expected to make a big splash at SXSW 2008. Their showcase begins at midnight March 12th at the Bourbon Rocks Patio in Austin. Justin Townes Earle will be performing at SXSW 2009. At 25, Justin Townes Earle has just released his debut CD called "The Good Life". It's an ironic title given his life experience. Justin was raised by his mom in Nashville while his dad the songwriter Steve Earle toured the country playing music and struggling with drug addiction. Justin followed his father's footsteps. He discovered music at an early age, dropped out of school in the 8th grade and rapidly became addicted to drugs and alcohol. After a near death experience, Justin sobered up. He's been clean for four years. Justin Townes Earle's debut album has an old-timey feel but it's steeped in today's world. Carrie Rodriguez will be performing at SXSW 2009. Texas native Carrie Rodriguez studied classical violin as a child but then switched to fiddle. Rodriguez's career took off when famed songwriter Chip Taylor spotted her playing fiddle at a record store (Taylor wrote two standards of the 1960's "Wild Thing" and "Angel of the Morning"). The two became a successful act-drawing crowds for their gorgeous harmonizing and spirited playing. But Carrie needed to know what she could do on her own--without Chip's guardianship. Her latest album is the result. It's called "She Ain't Me". Joe Ely will be appearing with the Doug Salm Tribute Band at SXSW 2009. On this edition of A Musician's Life Tracey Tanenbaum speaks with Joe Ely. The Texas born musician has been crafting songs for nearly four decades. The Proclaimers will be performing at SXSW 2009. In their native Scotland The Proclaimers are something of a national treasure. Their 1988 song I'm Gonna be (500 miles) was recently ranked that country's 5th greatest song. Brothers Charlie and Craig Reid rerecorded it as an unofficial theme for Britain's Comic Relief in 2007. It once again rose to the top of the charts. The Proclaimers took time off in the 1990's to tend to their personal lives--raising children and caring for a sick parent. When they returned to the music scene in 2001, they were surprised they still had an audience. The Proclaimers have been steadily making music since their return. Their latest album is called "Life with You". Jason Isbell will be performing with the 400 Unit at SXSW 2009. Jason Isbell joined Drive by Truckers when he was barely out of his teens. Seven years into his tenure with the band, Jason needed a change. His marriage to a fellow band member was crumbling. He also wanted to write and record his own music. His latest CD is called "Sirens of the Ditch". This piece describes the transformation of Gilberto Gil from a counter-cultural icon of the 1960s to the Brazilian Minister of Culture and what influence he has on the current generation. NPR's "next generation radio" and member station KUT in Austin Texas, produced a one week "next gen" project during the South-By-Southwest (SXSW) Festivals. This piece focuses on the transformation of Gilberto Gil from a counter-cultural icon of the 1960s to the Brazilian government?s Minister of Culture and what influence he has on the current generation. 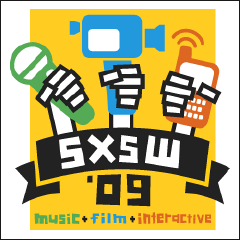 The re-birth of "Chicano" music at SXSW 2008. The South by Southwest music festival is known for its diverse collection of international bands. This year's list did not disappoint. Bands flew in to showcase their talent from as far away as Israel, Norway and Japan. But as Next Generation Radio's Hannah Miller reports, some didn't have to travel quite as far. Some of the bands arrived in Austin from other parts of the United States to deliver a message with their music. Tens of thousands of film, music, and multimedia aficionados descend upon Austin Texas every March for the SXSW Interactive Festival. Tens of thousands of film, music, and multimedia aficionados descend upon Austin Texas every March for the South by Southwest Festival. The creative mix of young developers makes the Interactive side an industry hot spot. Up and coming gamers and designers come to promote their products. Recently big names like Google and Mozilla have attended the festival too. As next generation radio's Kushan Dasgupta reports -- such explosive growth challenges the festival organizers in new ways. This is a story of three young women from San Antonio who bonded over a love for rock 'n' roll. This is a story of three young women from San Antonio who bonded over a love for rock 'n' roll. They've played alongside top rock acts like Joan Jett and and Morrisey. And touring together has brought the girls closer than they ever imagined. The former frontman of the band Cotton Mather was tapped to be the next big thing out of Austin... until stress and back pain rendered him bedridden for three years. Surrounded by friends and fellow musicians, Harrison embarked on a kind of musical therapy of songwriting and recording. The former frontman of the band Cotton Mather was tapped to be the next big thing out of Austin...until stress and back pain rendered him bedridden for three years. Surrounded by friends and fellow musicians, Harrison embarked on a kind of musical therapy of songwriting and recording. The collective that emerged is called Future Clouds and Radar: Harp Magazine's Best New Artist of 2007. From Austin's KUT, David Brown reports.